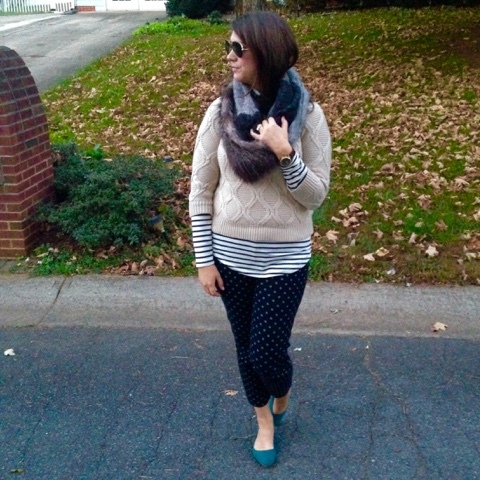 as the wine cork turns: fur | knit | dots | stripes. 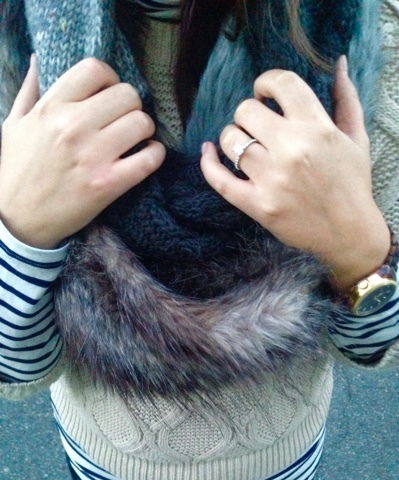 fur | knit | dots | stripes. 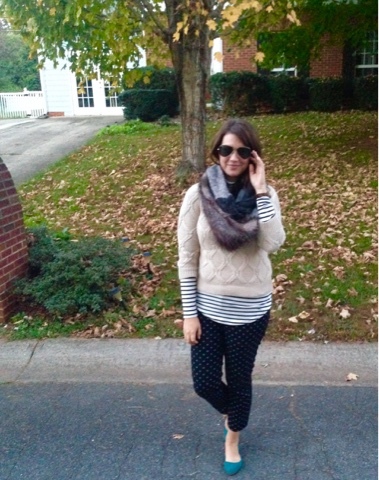 if there is one thing i love this fall season is mixing and matching and layering. 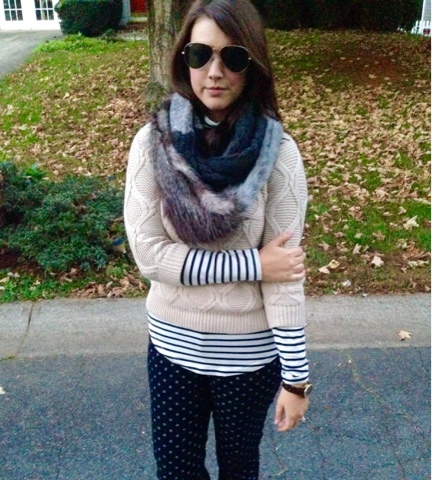 i swear a year ago if someone would've told me pairing polka dots and stripes with a knit sweater and faux fur would go together, i would've deemed me doomed from the start. but yesterday morning when i got ready, i threw it all together and boom - we have an outfit. 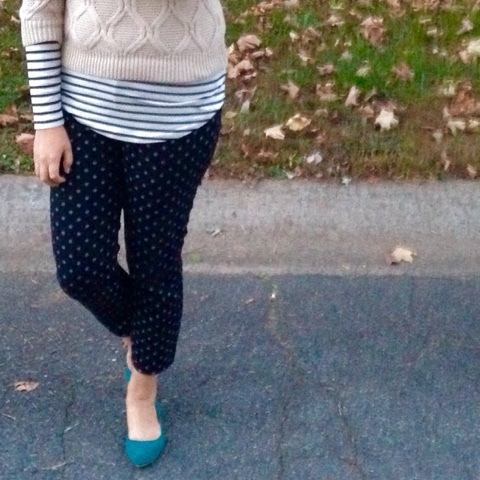 i love playing around with different pieces in my closet and throwing together looks i wouldn't normally pair. and you know what? three people in my office and the girl who checked out my groceries yesterday vocally said " i love your outfit." who doesn't love a compliment from a chick in harris teeter, amiright? you know you did good when! i mean here she is all beeeep - bananas; 59 cent a pound. beeeeep - zucchini; 89 cent a pound. and then the compliment happened. it was cool. 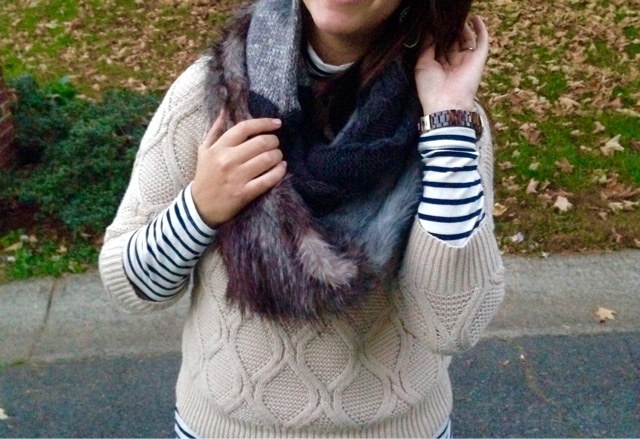 anyway, i love finding simple pieces such a striped turtlenecks and pairing them with fur vests, sweaters, chambray, or even patterned pants - which can totally transform your look. 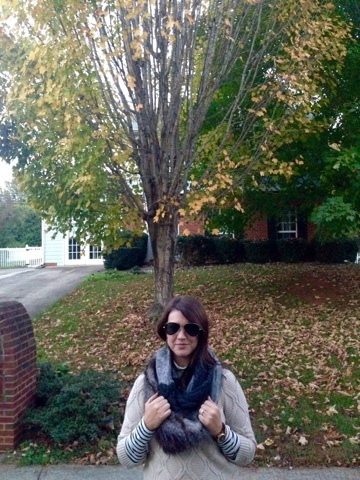 and seriously with fall layering, the possibilities are endless. 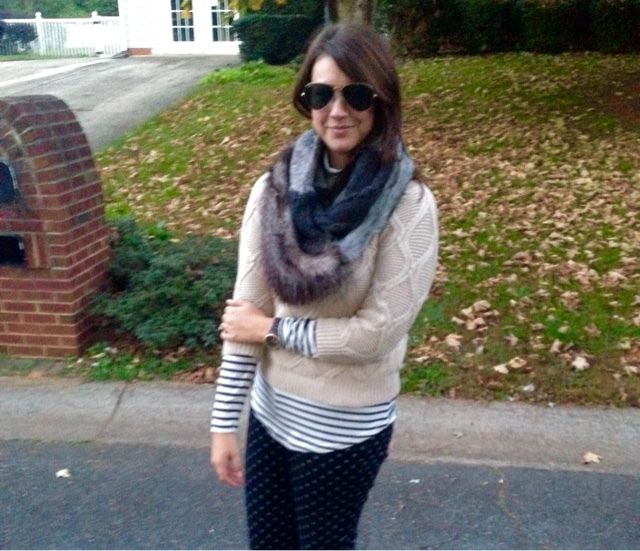 the other day i paired this turtleneck with a vest, skinnies, and leopard loafers. fall is hands down my favorite season for clothes. can it stay 68 degrees forever? the time we went all over north carolina. i remembered my camera this trip. 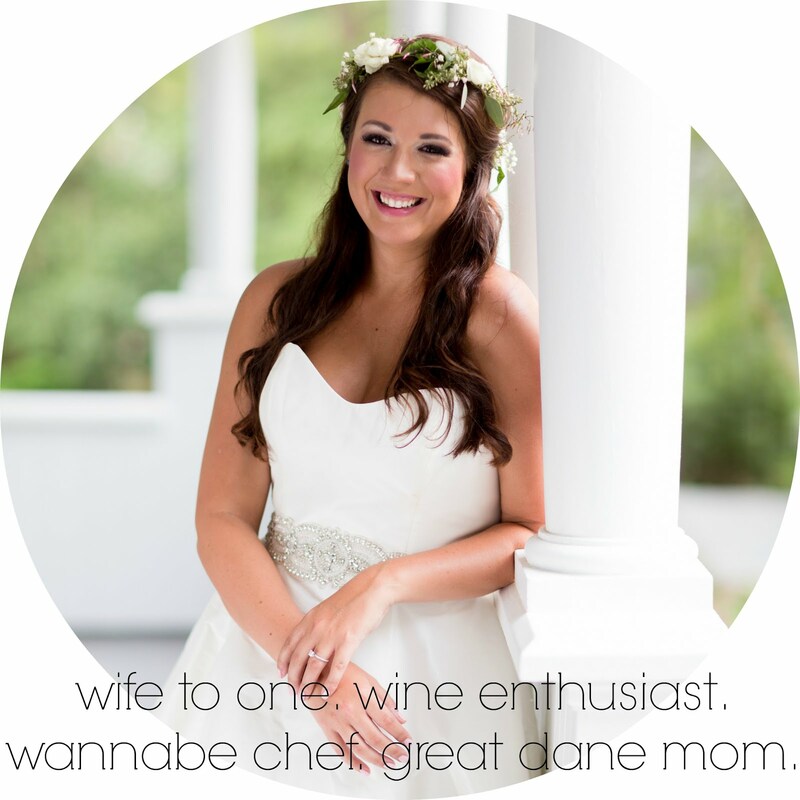 wedding wednesday: the story of the videographer. wedding dress shopping is crazy.